Romanian energy sector: sailing without a map? 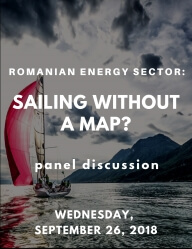 Romania Energy Center (ROEC) together with the Association “Up to us” and Hans Seidel Foundation have the pleasure to invite you to a panel discussion on the following topic “Romania energy sector: sailing without a map?”. The event will take place on Wednesday, September 26, at Hotel Capitol, in Bucharest. Two years after Romania came up with a new energy strategy, there is still no valid document in force, only a draft. Before the ink on the 2016 text has even dried, another working group was set up in the Energy Ministry to adjust and update the forecast and document prepared under the previous leadership of the ministry. This process of updating the document has been anything but transparent, especially compared to 2016. 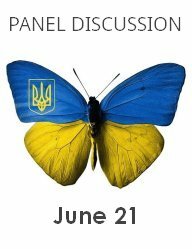 Romania Energy Center (ROEC) together with the Ukrainian Embassy in Bucharest and the Bucharest University of Economic Studies are organizing a special event dedicated to the Ukrainian – Russian gas relation: outcome of the Stockholm arbitrage case and what’s next?. The expert panel will focus on the results of the Stockholm arbitration case between Naftogaz and Gazprom – one of the biggest commercial arbitration in history by total value of claims and counterclaims (USD 125 billion), and discuss the latest regional developments in natural gas, especially how the new relation between Gazprom and Naftogaz is likely to affect and re-design the future regional gas flows. The event will be hosted by the Bucharest Academy of Economic Sciences (ASE), on June 21, 2018. Due to limited seating availability, registration for this event is mandatory. 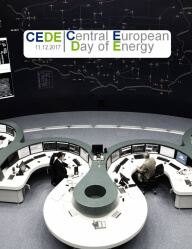 Romania Energy Center (ROEC) is a partner to the 2nd Central European Day of Energy (CEDE), organized by Central Europe Energy Partners CEEP and the European Commission. The event will take place in Brussels, at the European Commission headquarters, Berlaymont Building, Schuman Room, on Monday, December 11, 2017, between 9:30 am and 3 pm. 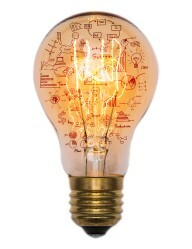 CEDE 2017 focuses on sustainable energy, innovation and modern technologies in Central Europe – renewable energy expansion, low emission technologies use, smart grids, energy efficiency projects, decarbonisation of transport sector (development of electromobility) that drive the energy transition in Central European countries. Other CEDE 2017 partners: Slovak Foreign Policy Association (SFPA), Center for Energy Studies (Czech Republic), Kaunas University of Technology (KTU, Lithuania), Foundation for Regional Policy Co-operation in Energy and Infrastructure (REKK, Hungary), Institut Sobieskiego (Poland), Electric Vehicles Promotion Foundation (Poland). 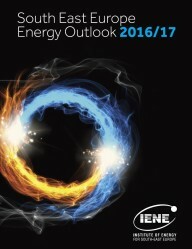 Romania Energy Center (ROEC) and the Institute of Energy for South East Europe (IENE) are organizing a special event dedicated to the presentation of the “SE Europe Energy Outlook 2016/2017” – a major regional study on the current energy situation in SE Europe with an outlook until 2050. The event will take place in Bucharest, at the Academy of Economic Sciences (ASE), Ion Angelescu Building, Virgil Madgearu Hall, on October 24, 2017, at 5 pm and will be followed by a discussion. The study covers 13 countries: Albania, Bosnia and Herzegovina, Bulgaria, Croatia, Slovenia, Cyprus, FYROM, Greece, Kosovo, Montenegro, Romania, Serbia and Turkey. In addition, the “Outlook” covers a number of peripheral countries including Israel, Egypt, Syria, Lebanon, Moldova, Ukraine, Hungary and Italy which are economically and geographically related SE European core countries. Romania Energy Center (ROEC) together with the association “It is up to us” (“Tine de noi”) and the Hanns Seidel Foundation are convening a debate dedicated to Romania’s energy strategy for 2016-2030 and general energy policy making which is to be discussed in the context of events and initiatives from the first half of 2017. The event will take place at Radisson Blu Hotel, in Bucharest, on July 18, 2017, at 4 pm, Caleano room. The debate is meant to incentivize a critical discussion discussion and assessment of this key policy document against recent developments (such as liberalization of the gas market, introduction of new taxes, situation of district heating, absorption of EU funds). 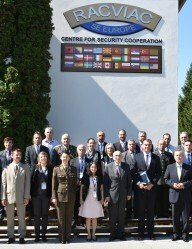 ROEC Director Eugenia Gusilov participated in the 3rd edition of the International Energy Security Seminar “Contribution of EU’s Neighbouring South-Eastern Countries to Regional Energy Security: Challenges and Opportunities for Cooperation” that took place at RACVIAC headquarters in Rakitje, Croatia on June 19-20, 2017. The event was co-organized by the Center for Security Cooperation in SE Europe (RACVIAC), the Croatian Ministry of Energy and Environment and the Romanian Ministry of Foreign Affairs together with the Romanian Energy Ministry. The seminar had three sessions, each focused on one of the three dimensions: energy market development in Western Balkan countries, renewable energy and response to energy security challenges (capacity to deal with energy shortages and import dependency).